It’s clear many video game fans are looking forward to Fallout 76, Bethesda’s eagerly anticipated video game which will be hitting stores in November this year. Like other entries in the series, this is also set in a post-apocalyptic world, and features action and adventure elements. Unlike its predecessor Fallout 4 and the earlier games, though, this will primarily be an online, multiplayer experience, and will not offer the deep, single player role-playing experience typical of Bethesda’s games to date. And it’s perhaps due to the open-ended nature of the world and the near limitless possibilities for interaction with other players that Bethesda expects people to be playing Fallout 76 for a very long time indeed. Actually, Bethesda’s executive Pete Hines recently told Metro (via GameSpot) that he expects people to be playing Fallout 76 forever. 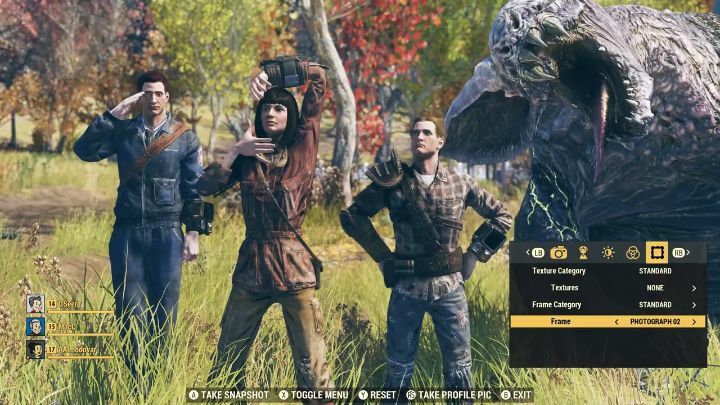 “Other people have said, ‘Is your timeline [for Fallout 76] two years or five years?’ And I said, ‘Well, they’re still playing Morrowind and you go online and look at how many people are playing Fallout 4 and Skyrim”, said the Bethesda man, adding that “those games have been out for four and seven years, and there are literally hundreds of thousands of people playing those games every single day, every single month”. The thing is that, while it’s true that the likes of Fallout 4 and especially Skyrim are still being played by many people these days, the fact that Fallout 76 will have an online focus doesn’t mean it will be played more than either of these games. The reason for this is that the wealth of user mods available for Skyrim and to a lesser extent Fallout 4 is what has likely kept these games popular to this day. After all, since Skyrim launched on PC in 2011 many users have been busy at work, putting out many interesting mods for the game (and even complete overhauls such as Enderal), and so is the case with Fallout 4. Actually, there are now many great mods for both Skyrim and Fallout 4 available on PS4 as well. Plus, also the fact that these games offer a ton of quests and many well-written NPCs to interact with and secrets to discover means they offer tons of replay value, explaining why so many people are still diving into Skyrim and Fallout 4 these days. But with Fallout 76 excising non-player characters and replacing these with robots (which will offer you quests) and instead relying on interaction between human players (who will surely be acting out of character most of the time) this may not have the long-term appeal Bethesda is hoping for. It would be a great thing though, if Fallout 76 ends up being as engaging as earlier Bethesda games despite its multiplayer focus, and offers players a great role-playing experience, something we’ll know for sure when the game is released this fall.